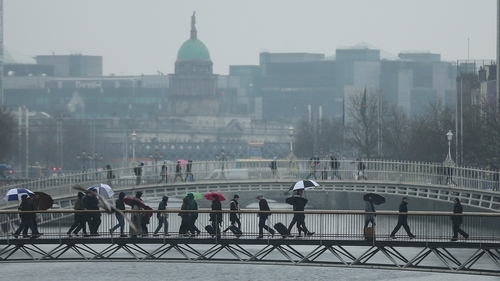 Met Éireann has issued a status-yellow rainfall warning for counties Dublin, Louth, Wicklow and Meath. It warns that persistent showers will lead to rainfall accumulations of 25-35mm. The warning will be in effect from 12pm tomorrow until 12pm Wednesday.